The sale of Uber's China operations to rival Didi Chuxing could wind up being a big win for ... Apple. As a result of the deal, Didi owns a part of Uber and Uber owns a portion of Didi. And since Apple owns a stake in Didi, it now also owns a teeny bit of Uber -- and the same is true for other big-shot investors. It's just one quirky result of a deal that touches many of the world's top tech companies: Alibaba, Tencent, Baidu, Softbank -- they're all involved. Apple: The iPhone maker plowed a whopping $1 billion into Didi Chuxing in May. At the time, founder and CEO Cheng Wei said Apple's (AAPL) investment was "an enormous encouragement and inspiration for our four-year-old company." Since Didi already has a partnership with other ride-sharing companies such as Lyft, India's Ola and Southeast Asia's GrabTaxi, Apple now has money invested in all of the world's major ride-sharing giants. Baidu: Chinese search giant Baidu (BIDU) invested in Uber's China operations in late 2014, and it currently owns a minority stake in the Chinese business. The partnership allowed Uber to use Baidu's mapping and mobile technology to connect drivers and riders, helping it expand from nine Chinese cities to about 60 in less than two years. Tencent: The Chinese tech behemoth Tencent (TCEHY), which owns a web of mobile, telecom and online retail businesses, was an early backer of Didi Chuxing. It poured millions in Didi Dache, the homegrown ride-sharing firm that eventually merged with a rival to create Didi Chuxing. Alibaba: Chinese tech heavyweight Alibaba (BABA) backed the other half of Didi Chuxing, which was called Kuaidi Dache. Softbank: Japanese telecom Softbank (SFTBF) led a major $600 million financing round into Kuaidi Dache back in early 2015. The car companies: Automakers have shown significant interest in ride-sharing tech. Toyota (TM) has backed Uber while GM (GM) has invested in Lyft. 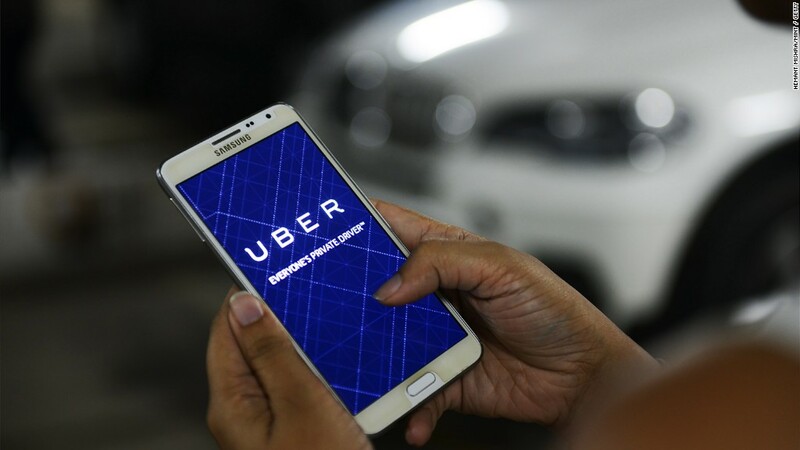 China's Guangzhou Automotive Group has also invested in Uber. The list goes on: Uber gained backing in the past from heavyweight U.S. investors such as Amazon (AMZN) founder Jeff Bezos and Google (GOOG), as well as Saudi Arabia's investment fund, the Public Investment Fund. Didi also boasts investments from the high profile venture capital firm, GGV Capital, which is known for investing in U.S. and Chinese businesses like Square (SQ). -- Sophia Yan contributed to this report.